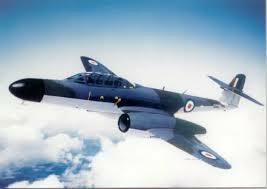 UFO Spotted over Southend - 14 October 1954 while flying over the Thames Estu ary near Southend-on-Sea, at about 4.15pm, Flight Lieutenant James Saladin ,who was piloting a Gloster Meteor Mark VIII, spotted three objects approaching him. Two of these objects, one gold and one silver, flew to either side of his aircraft, and one directly in his flight path. He submitted a report of the incident to his airbase. Laker Flies to Calais - The Channel Air Bridge was set up in 1954, Freddie Laker's second airline venture, flying cars and their owners in Bristol Freighters from Southend Airport to Calais. Tennis Star is Born - John Lloyd (born 27 August 1954, in Leigh-on-Sea) is a former prof essional tennis player and commentator for BBC. During his career, he reached one Grand Slam singles final and won three Grand Slam mixed doubles titles. He was the first husband of the former top woman player Chris Evert and the younger brother of the former British Davis Cup captain David Lloyd. The Gaumont Burns - The centre of town came to a near standstill when the Gaumont in Southchurch Road, opposite the Talza Arcade went up in flames on 11th February 1954. It took 2 hours to get the fire under control, and as the firemen dampened dowsn the destroyed stage area, so workmen were drafted in to repair all the damage with cleaners mopping up after them so they could open on the Friday with an Alan Ladd flick. Demon Developer Born - 12 Oct, Cliff Stanford was born training as an accountant and went onto develop Demon Internet one of the original internet service providers for individual subscribers. Cliff went on to develop Redbus Investments.